This is a time when the Sikh community world-wide has come together to examine incredibly important issues about the structure and future of our Dharma. 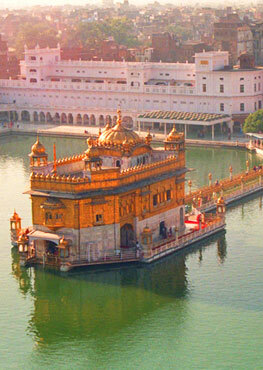 We pray that the country of India honor Sikh Dharma as a world religion. We also pray that these issues progress in a spirit of peaceful dialogue towards positive transformation for all involved. To support that prayer, SikhNet will continue to organize global on-line Sahaj Paaths after our current groups have completed their readings on November 15th. 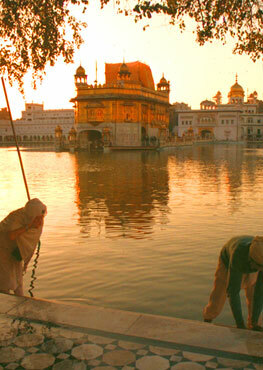 May peace, dignity and the spiritual sovereignty of the Khalsa prevail through all time and space. These resolutions have been declared to stand until the next Sarbat Khalsa which is planned for Vaisakhi of 2016 when fresh deliberations will be made. Before the event took place the SGPC denied the Sarbat Khalsa from meeting at the Golden Temple complex saying that only the presiding Akal Takht Jathedar can call a Sarbat Khalsa. Immediately following the event SGPC president Makkar made the following statement, "All resolutions announced today stand null and void principally. The appointment, removal, duties and tenure of jathedars have been well-defined in the Gurudwara Act 1925 and the SGPC has been given full rights to operate the framework in this direction. The SGPC is a representative body of Sikh community from all over the country and its validity cannot be challenged." The Sikh world can predict more friction between the established organization and the new movement likely to ensue. In the spirit of Miri Piri there will be more global Sahaj Paaths for the best outcome of our current times. Harinder Singh CEO of Sikh Research Institute reads the 13 resolutions English for the benefit of international participants.